As investors, we have several tools available to us. However, we don’t have all of the tools, insights, knowledge or even man power that large investment firms have. As a result, it’s incredibly important to watch what big money is doing with their money. Generally, if they make a large investment into a company, there’s a very good reason for it; in many cases, a reason that may not even be public quite yet. As a result, by following what big money is doing, we can find strong trading opportunities in order to generate profits as a singular investor. 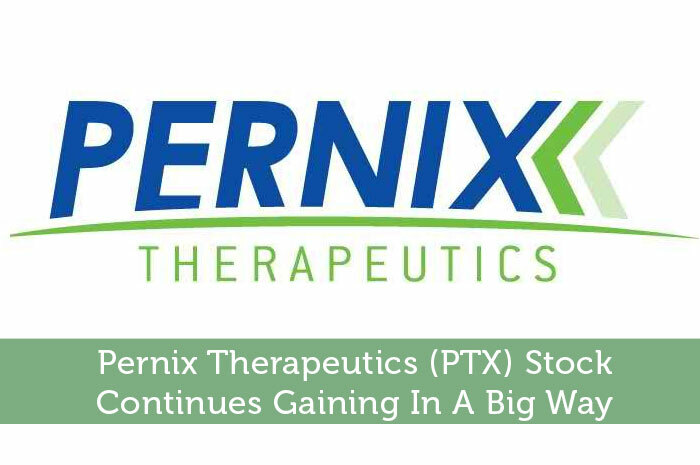 Yesterday, it was announced that Pernix Therapeutics Holdings, a nano-cap specialty pharmaceuticals company, has received a rather large investment from a very credible asset management company. The company that invested in PTX goes by the name of Point72 Asset Management. In case you haven’t heard of this company quite yet, Point72 asset management is a highly respected asset management company that was founded by one of the most followed billionaire investors in the world, Steven Cohen. The reality is that when Cohen is spending his money, we can expect to see fruits out of the investment. In this particular case, Point72 Asset Management has made the decision to purchase a 5.8% stake in PTX. This shows that one of the larger investment funds out there has strong faith that PTX is likely to go on a bullish run relatively soon. As investors, we know that the news moves the market. Any time there is positive news released with regard to a publicly traded company, we can expect to see gains in the value of the stock associated with that company. Adversely, when negative news is released with regard to a company that’s traded publicly, we can expect to see declines. Because investors tend to follow the movements made by big money, the fact that Point72 Asset Management made the decision to invest in PTX was overwhelmingly positive. This led to incredibly strong movement in the value of the stock yesterday that was followed by more strong movement today. By the end of today’s trading session, the stock climbed to $1.10 per share after a gain of $0.12 per share or 11.72%. First and foremost, it’s important to understand that price movement in the market tends to happen in waves. After 2 straight days of incredibly strong gains, I wouldn’t be surprised to see some declines tomorrow on Pernix Therapeutics. However, I’m not expecting for declines to be a long-lasting issue. In fact, I’m expecting to see bullish activity out of the stock moving forward. Overall, I’m impressed with the company’s business model and those it has on its team. As a result, I’m expecting to see gains. Where do you think PTX is headed moving forward and why? Let us know your opinion in the comments below! Actually, the shares closed at about $0.57 today after the Q1 Earnings Report !! Cut in half in a day! People who invested in this company shortly before this Earnings Report are screwed unless they hold on , hoping for price recovery.